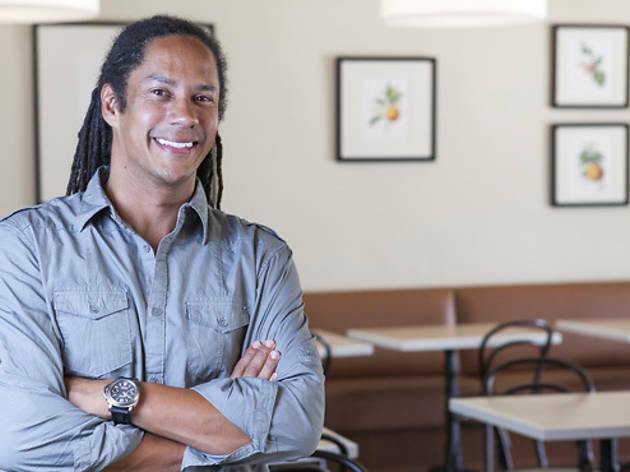 Chef Govind Armstrong talks about his Costa Rican and Indian roots, how fatherhood changed him and why you want to be sitting next to him on a plane. 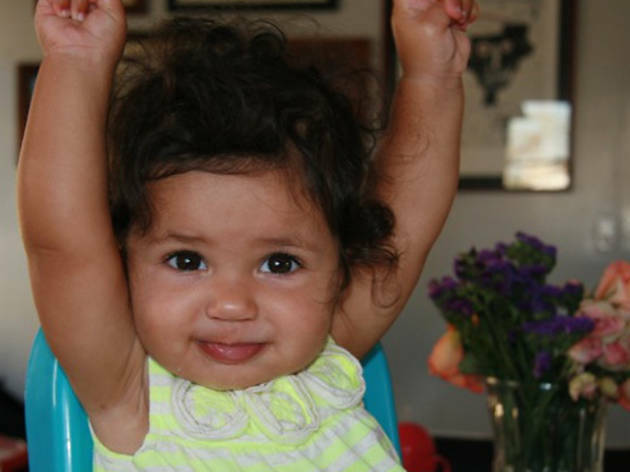 Photo courtesy Govind ArmstrongArmstrong says of his daughter Willow: "Always ready to eat!" 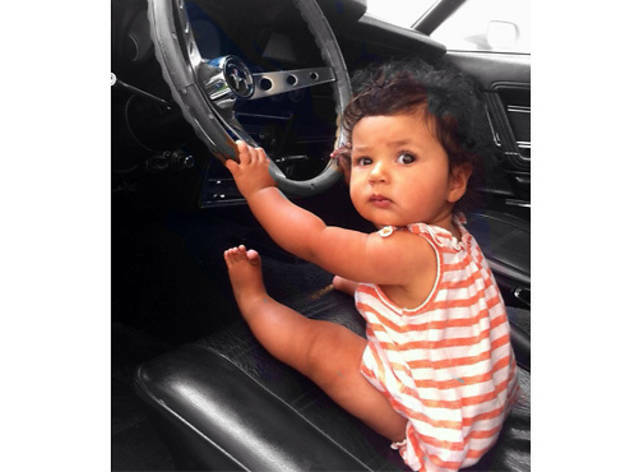 Photo courtesy Govind ArmstrongArmstrong shares his photo of daughter Willow: "Before you know it, she will be asking for the keys!" Chef Govind Armstrong grew up in Encino (in F. Scott Fitzgerald’s former house, no less), catering his mother’s parties as a kid (mini pizzas and mini soufflés with jalapeno, anyone? 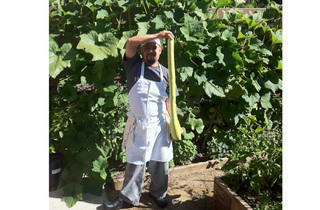 ), and soon after working in LA’s top kitchens (Spago, Patina, Campanile). 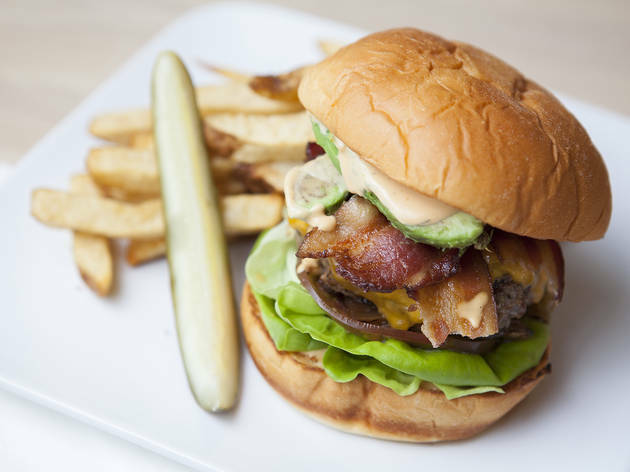 After the shuttering of his beloved Table 8 and its more casual burger concept 8 oz., Armstrong debuted ROFL Café last August, offering a European-style cafe on Melrose Avenue. 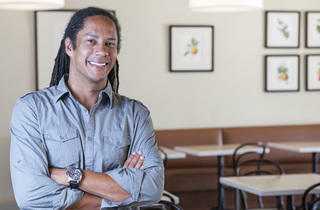 Armstrong's Californian roots haven't been lost at Post & Beam—which he opened in January in an unlikely place (Baldwin Hills)—offering seasonal American plates influenced by the local Crenshaw Plaza farmers market and the restaurant's on-site garden. 8 oz. is being resurrected in LA at LAX, opening in February 2013. The chef and new father—he and his partner Julia welcomed a daughter last November—shares his favorite LA eats, his personal memories and his personal photos. Time Out: You grew up in LA. What was that like? Govind Armstrong: We’re a tight family—I have one older and two younger sisters—and we get together at least once a week and talk almost every day. We grew up in a pretty traditional household—dinner every night together, a lot of chores. We had a big garden, which the family always partook in, and grew anything and everything: asparagus, corn, cauliflower, carrots, radishes and a lot of leafy greens. Understanding the flow and cycle of food is what got me into the kitchen. My mother loved to entertain and since she wasn’t a great cook, I kind of took over for her. I was 12-years old and basically catered her parties making simple finger foods like mini pizzas, funky cheese soufflés with jalapeño and soba noodles with shrimp and hoisin—keep in mind, it was the '80s so it made sense then. I learned from books—an older friend of my mother was a true OG foodie and gave me a ton of books from her collection like very old versions of Larousse Gastronomic. We’d get all our ingredients together and make it happen. Everything that I do goes back to the garden. Was that the idea behind Post & Beam’s garden and its gardening classes? Having grown up with gardens, I’m still always learning and inspired. 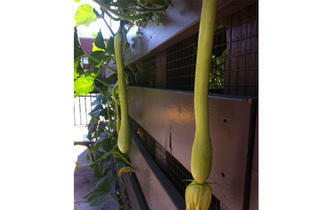 The garden classes have been educational for me as well and our master gardener is amazing. 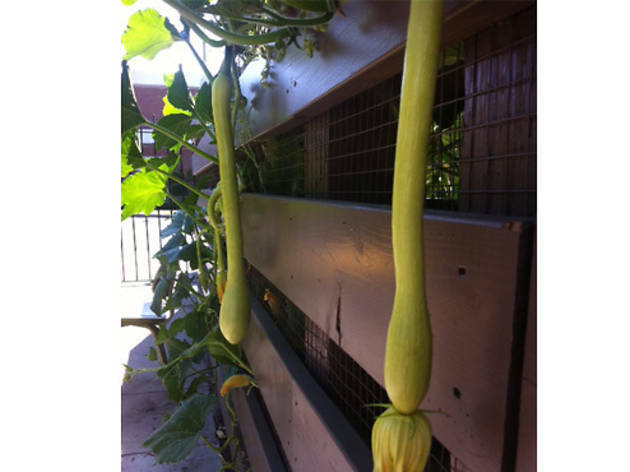 We grow this variety of summer squash—Trombetta di Albenga—that I had never seen before. 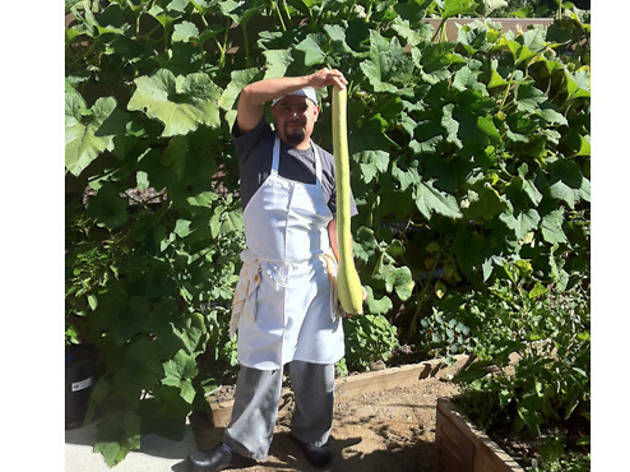 It grows horizontally and has produced probably 250 pounds of zucchini—you literally could feed a block from one plant. 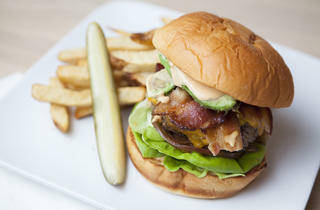 Where are you eating in LA? I always crave really good meat, which is no shocker there. When I’m not using meat from our restaurant vendor (Certified Angus), I go to Huntington Meats at the Original Farmers Market. They have a great dry-aging program there and make good sausages. When I’m on the Eastside, I’ll go to McCall’s. In a pinch, I’ll even go to Whole Foods and blow a whole paycheck. I love the Hickory burger from Apple Pan. That’s a dream restaurant of mine: a tiny, open kitchen and the guys are cooking everything right there in front of you. I’ve even tried to recreate it and it’s just not the same—it’s the history of the grill that you can't replicate. What are you eating when you’re traveling? I keep it simple and I try to pack a lot—different types of hummus like black-eyed pea or lentil with simple crudités and nuts to snack on. I also pack sandwiches, usually steak. I bring enough to share with the people sitting next to me because there are always some haters opening their McDonald’s. I lived in Costa Rica, where my mother’s from, for six years and I crave the food—it’s super fresh and makes you feel good. I always have a couple of jars of salsa lizano, that’s super popular down there, which I make at home. I also love to cook Indian food at home. My grandfather was born and raised in India, so my siblings and I all have Hindu names. Govinda is another name for Krishna, which means 'goat herder.' 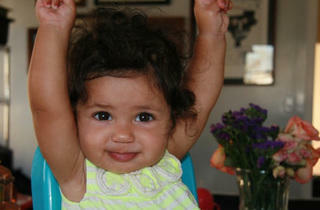 I have a daughter who’s 10-months old, named Willow. Her palate is already developing and there’s nothing she doesn’t like. I make every single thing she eats with a little bit of curry here and there. I’d love to make a kids menu using spices. Today, I made her golden beet and cauliflower puree, lentils and rice. I put in curry, onions and garlic. I don’t even bother with mashed potatoes. Not to be sappy, but it’s all about Willow these days; she is everything. I never thought I could love someone or anything that much. We cruise everywhere; we go to a park every other day. We love the parks at LACMA, where I can also grab a bite and cocktail at Ray’s. Strapping her on and hiking through Runyon is always a good time, too. [Govind takes out his phone to show pictures.] She kills me. Every day.